Sierra Leone denied on Sunday Lebanese media reports claiming it is willing to receive Lebanon’s garbage as part of a recently approved deal to tackle the country’s waste management problem, al-Jadeed television reported. “The Sierra Leone authorities warned against spreading such claims and will practice their right to resort to the judiciary and General Prosecution against all who contributed to the reporting of such news attributed to the presidency of Sierra Leone, which has harmed its reputation on the international scene,” he added in a statement. This development comes after As Safir newspaper on Saturday that the African country has accepted to receive Lebanon’s trash. The Lebanese government has been informed of the approval through the Lebanese Ministry of Foreign Affairs. A letter signed by the adviser of President of Sierra Leone was addressed to Holland’s Howa BV firm that is tasked by the Lebanese cabinet with the exportation of the trash, the daily added. A trash management crisis erupted in July 2015 when the Naameh landfill that receives the trash of Beirut and Mount Lebanon was closed. The government’s failure to find alternatives led to the piling up of garbage on the streets and in random locations, which raised health and environmental concerns and sparked unprecedented street protests against the entire political class. In December, the cabinet approved an export plan with representatives of Britain’s Chinook Urban Mining International firm and Holland’s Howa BV. The exportation plan will include the newly generated trash excluding the piles that were burnt and buried. Agriculture minister Akram Shehayeb , who was recently criticized for pushing the export of Lebanon’s garbage responded by saying . 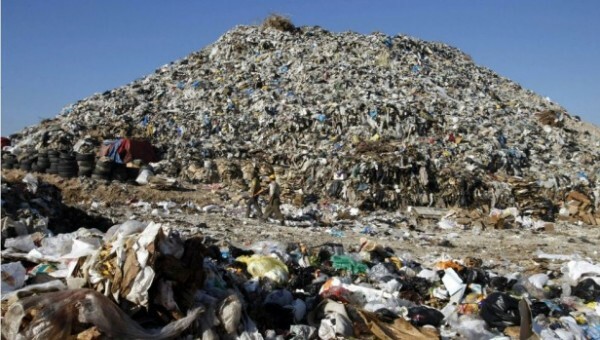 Health Minister Wael Abu Faour has been warning that Lebanon’s air, water and food were threatened with contamination if the garbage crisis is not resolved . According to the minister the country is on the brink of a “major health disaster” unless an immediate solution is found for its mounting trash problem. I’d say it is IN – and has been for a while – A Major Health Disaster. Why ‘sugar-coat’ it now? Noses know. Skin knows. Stomachs know. And making up ‘News Stories’ doesn’t help … since no-one knows what to do. Sue the guys who made ‘the report’ that’s false. Sue ALL the people who ‘create’ news, in fact, since they seem to be part of the overall problem when they go around like Market Dunderheads doing Speculations. Gotta love the last paragraph, Mr Faour’s “red lines” have no bearing on reality. Is “Health Minister” an oxymoron in this case? A case of the finest Lebanese bottled water to all individuals who would declare ‘Aye’.